Trading Profitably : Dividend Paychecks for Financial Freedom? What is economic freedom? It's the ability to do what you want without worrying about where you will get the money to pay your bills each month. There is no higher or better purpose for investing your money than to gain economic freedom. Using your money for a monthly income is probably the last thing people think about when considering an investment. Usually the focus of attention is on rate of return and safety. While these are important issues, the conversion of assets into monthly income is sometimes a difficult transition. Do you sell the asset to get cash? Do you put money in a certificate of deposit and hope that the interest rate will be adequate for your needs? Is the payment stream reliable? How do you finally get the income you need? In planning for your monthly check amount, start at the end and work backwards. What is the amount of the monthly check you want? When do you want it? Then consider how much capital you will need to give yourself the monthly payment. What is an average rate of return from various types of investments? How long do you have to gather the assets required? What are the mechanics of actually getting the money from the investment into your checking account each month? For example, you may decide you would like a $5,000 per month income. 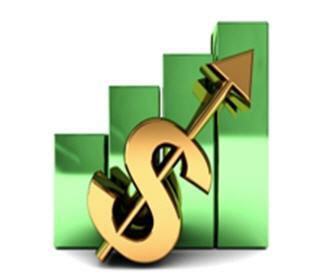 If you are able to obtain a 6% annual return on investment, you would need $1,000,000 in capital. Six percent annual return would allow you to receive monthly income while maintaining your asset. The number of years you have available for accumulating the asset is an important consideration. What is a reasonable rate of return for the investment risk you are willing to take? In the end, your job is no different than that of the actuary hired by a company to set up a pension plan. Your assumptions must be realistic. You may benefit from using historic experience about average rates of return in various financial markets over time. If your assumptions are too liberal, you may fall short in reaching your goal; if your assumptions are too conservative, you may experience undue difficulty in gathering the assets. Your objective is to use reason, past experience and acceptable assumption of risk to produce a result that will carry you to the goal: economic freedom. Two of the most important characteristics of people who reach the goal of monthly income: patience and tolerance. Accumulating assets over time requires the patience one needs to stay the course in following a plan. Investing in any asset class requires tolerance in accepting risk of some type. Actuaries know that in the long run past experience is a good basis for a reasonable assumption; however, actuaries also know that on any given day there is a chance of being wrong. And one of the greatest risks of all is doing nothing.